Megan Cooper is an actor and educator living and working in the Seattle area. She recently relocated to the PNW from Boston, where she worked as an actor, teaching artist, and served as the Director of Community Engagement at Boston Lyric Opera. Megan has trained at the London Academy of Dramatic Arts (LAMDA), holds a B.F.A. in Acting and Directing (S.O.A.C Outstanding Acting and Directing Student Award, Class of 2007) and B.A. in French Language and Literature from Pacific Lutheran University in Tacoma, WA and M.A. in Theatre Education (Graduate Dean Award, Performing Arts Department, Class of 2010) from Emerson College in Boston, MA. Stand-out Boston theatre roles include Emily in Our Town at Riverside Theatre Works directed by Jason E. Weber, Anne Frank in Anne and Emmett at Roxbury Repertory Theatre directed by Robbie McCauley, and Juliet in the IRNE-nominated production of Romeo and Juliet at Independent Drama Society directed by Sarah Gazdowicz for which Megan was nominated for My Theatre Boston and Broadway World Boston awards. Megan was a company member of Roxbury Repertory Theatre under the direction of Marshall Hughes and Robbie McCauley, and of Theatre Espresso, a theatre in education (TIE) company, under the direction of Wendy Lement. Megan co-wrote Theatre Espresso’s play American Tapestry: Children of the Bread and Roses Strike, which was awarded the NEA Challenge America Fast-Track Award for 2012. 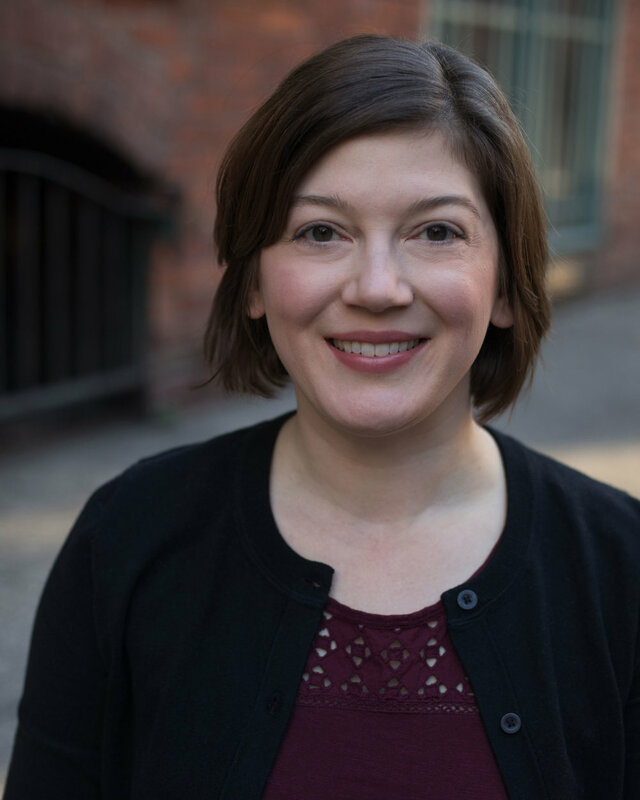 As a teaching artist, Megan has worked extensively in performing arts schools, public schools, and theatre companies in Tacoma and Boston. She has taught acting to students ages 4 - 18, directed student productions, written theatre curriculum and study guides, and designed educational theatre programming. Megan is passionate about building student creativity, curiosity, and communication skills through theatre. She is currently the French teacher at Montessori Academy at Spring Valley in Federal Way, and integrates the arts into the language learning classroom.